Bethesda has launched an official European merchandise store! 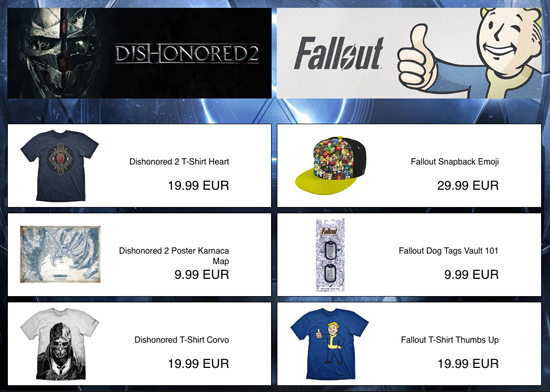 Bethesda Store Europe (https://eumerch.bethesda.net/) offers a wide range of licensed merchandise from favourite Bethesda brands including: DOOM, Fallout, Dishonored, The Elder Scrolls, Wolfenstein, The Evil Within, Quake and more. Bethesda Store Europe ships to all European territories, as well as worldwide. Fans can sign up today to receive newsletters highlighting the latest products and offers.